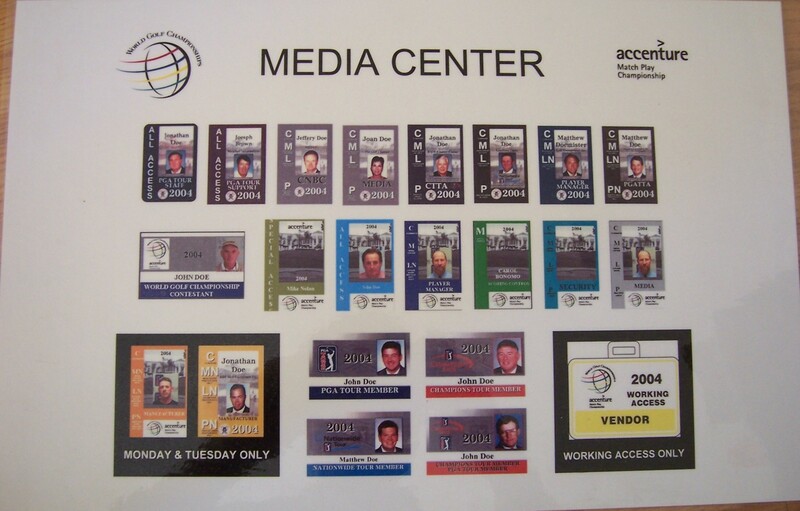 Very rare original Media Center laminated sign featuring sample credentials from the 2004 World Golf Championships Accenture Match Play Championship PGA Tour event played at La Costa (outside San Diego) and won by Tiger Woods for the second year in a row. 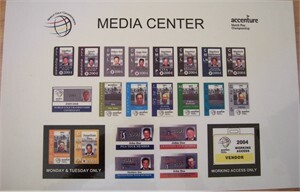 Measures 12 by 18 inches including the clear laminated borders. ONLY ONE AVAILABLE FOR SALE.